There’s no doubt that flying during winter has its own unique set of challenges, however, you don’t have to wait until the weather warms in order to become a certified pilot. With the right instruction and a little knowledge of winter’s potential pitfalls, you can be flying by the time spring rolls around. So, if you’re ready to start flight school, here are eight benefits of doing it during winter. A huge part of becoming a competent pilot is learning how to deal with bad weather, including wind, snow and ice. Exposure to adverse conditions will certainly benefit your training, and the only way to get comfortable with flying during the winter is to simply do it. Plus, you’ll have a certified flight instructor (CFI) with you for about the first 50 hours of training, who will advise you through safety procedures and any sudden in-flight weather-related problems. 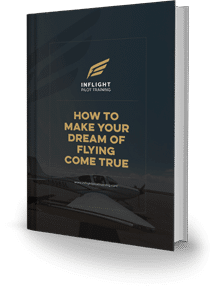 In general, it’s best to take your ground school and flight training concurrently so so ground-school information can be put into immediate practice. However, you can always complete ground school training if you want to get started but aren’t comfortable flying during the winter. Completing ground school first also offers several benefits, including reduced costs and more flexible scheduling, as well as a big-picture view of what it means to be a pilot. If you start your training during the winter, you’ll gain the necessary experience flying in the worst weather conditions (minus thunderstorms), and potentially finish when nice weather comes back around. Learning in poor conditions will make you a better pilot — when the weather gets better over spring and summer, you realize how much you actually learned, which prepares you for any type of warm-weather flying situation. Aircraft performance increases in cold weather because colder air is denser than warmer air, which contributes to better engine operation and more airlift. When hotter seasons roll around, you may even wonder what’s wrong with your plane and why it won’t climb as fast. Additionally, there are generally fewer people flying when its cold out, so there’s less air traffic in the sky – one less thing you have to worry about! Wind, clouds and winter storms are common problems during the cold months, meaning it’s a good time to gain instrument ratings or experience under instrument flight rules (IFR). You’ll likely be making many crosswind landing or flying under heavy cloud cover, so you’ll get plenty of opportunities to gain actual instrument time. Many flight schools and plane rental companies offer discounts in the winter that you can take advantage of. Additionally, there will be less demand for rental planes, meaning you’re much more likely to fly the aircraft you’re comfortable with. While airplanes do generally fly better in cold weather, they do have limitations. For example, when the temperature drops below freezing, you’ll need to be much more cautious about how you fire-up and operate the aircraft engine. 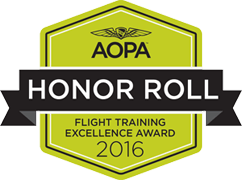 This gives your flight instructor an opportunity to teach you about several cold-weather aircraft procedures, such as warming up the plane, power changes, stall recoveries and simulated engine failures, among other things. When learning to fly during winter, you’ll undoubtedly have more days where you can’t take off due to weather concerns when compared to warmer months. As a student, this will give you good insight into when it’s appropriate to stay grounded. Your CFI makes the final call, and will give you perspective on when the risk of taking off in adverse conditions simply isn’t worth it. Are You Ready to Brave the Cold?